Background The role of hyperinsulinemia as a cardiovascular risk factor is controversial. We studied whether hyperinsulinemia is independently associated with increased cardiovascular morbidity and mortality. Methods Fasting serum insulin level and other cardiovascular risk factors were determined in 1521 men in eastern Finland aged 42 to 60 years with neither cardiovascular disease nor diabetes at baseline. Forty-five cardiovascular deaths, 110 acute coronary events, 48 strokes, and 163 any cardiovascular events occurred during an average follow-up of 9.5 years. A total of 163 cardiovascular events (45 cardiovascular deaths, 110 acute coronary events, and 48 strokes) occurred during an average follow-up of 9.5 years. Results In Cox regression analysis adjusting for age and examination years, fasting serum insulin level as a continuous variable was directly associated with the risk of cardiovascular death (P=.006), acute coronary events (P=.04), and stroke (P=.02). Men with insulin levels of 52 to 66 pmol/L, 67 to 89 pmol/L, and 90 pmol/L or more (3 highest quartiles) had 1.4-fold (95% confidence interval, 0.5-3.7), 1.4-fold (95% confidence interval, 0.5-3.7), and 2.5-fold (95% confidence interval, 1.0-5.9; P=.05) cardiovascular mortality, respectively, compared with men with insulin levels of less than 52 pmol/L (lowest quartile) (P=.04 for linear trend). Adjustment for serum lipid levels, blood pressure, and obesity reduced the excess cardiovascular mortality in the highest insulin quartile by 7%, 33%, and 67%, respectively. There were no statistically significant differences in the incidence of acute coronary events and stroke between the insulin quartiles. Conclusions Hyperinsulinemia had a modest association with increased cardiovascular mortality in middle-aged men. This relationship was largely explained by obesity, hypertension, and dyslipidemia. Hyperinsulinemia had even weaker associations with the risk of acute coronary event and stroke. 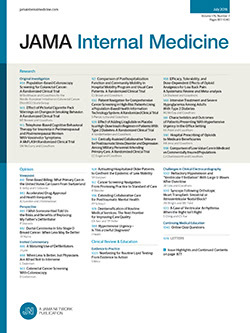 The purpose of this study was to investigate whether hyperinsulinemia is independently associated with the risk of CVD death, acute coronary events, stroke, and any CVD event, and to what extent the CVD risk–increasing effect of hyperinsulinemia is mediated through other risk factors in a prospective population-based sample of middle-aged men from eastern Finland. The Kuopio Ischaemic Heart Disease Risk Factor Study is a prospective, population-based study designed to investigate risk factors for CVD, carotid atherosclerosis, and other outcomes in middle-aged men in eastern Finland, an area with a high occurrence of CVD.32 The study was approved by the Research Ethics Committee of the University of Kuopio. All study subjects gave their written informed consent. The study population was a random sample of men, who lived in the town of Kuopio or neighboring rural communities, stratified and balanced for age, who were 42, 48, 54, or 60 years old at baseline examination. The baseline examinations were conducted between March 20, 1984, and December 7, 1989. Of 3235 eligible men, 2682 (82.9%) participated. Men who had prevalent CVD (1015 subjects), cancer (46 subjects), or diabetes (131 subjects) at baseline were excluded from the present analyses. However, men with hypertension were not excluded. Diabetes was defined as either fasting blood glucose level of 6.7 mmol/L (121 mg/dL) or more, or a clinical diagnosis of diabetes with dietary, oral, or insulin treatment. Complete data on fasting serum insulin were available for all 1521 remaining men. Data on the following factors were missing for some men: serum HDL cholesterol level, 8 men; serum triglyceride level, 17 men; serum apolipoprotein B level, 28 men; plasma fibrinogen level, 99 men; systolic blood pressure, 10 men; diastolic blood pressure, 11 men; body mass index (BMI), 6 men; waist circumference, 275 men; alcohol consumption, 3 men; maximal oxygen uptake (VO2max), 152 men; and the intensity of conditioning physical activity, 108 men. If a value was missing, the mean value for all men was used as a substitute. The subjects gave blood specimens between 8 and 10 AM on Tuesday, Wednesday, or Thursday. They were instructed to fast and to abstain from smoking for 12 hours and to abstain from drinking alcohol for 3 days. After the subjects had rested in the supine position for 30 minutes, blood was drawn with vacuum tubes (Terumo Venoject; Terumo, Tokyo, Japan). No tourniquet was used. Serum insulin level was determined with a radioimmunoassay kit (Novo Biolabs; Novo Nordisk, Bagsvaerd, Denmark).33 The serum samples were stored frozen at −80°C for 0.2-2.5 years. The between-batch coefficient of variation was 8.9% at 65 pmol/L and 17.5% at 222 pmol/L (n=10). The assay has cross-reactivity with proinsulin, and the values thus reflect immunoreactive insulin. Blood glucose was measured by a glucose dehydrogenase method (Merck, Darmstadt, Germany) after precipitation of proteins by trichloroacetic acid. High-density lipoprotein was separated from fresh serum samples by ultracentrifugation and precipitation.34 The cholesterol contents of lipoprotein fractions and serum triglycerides were measured enzymatically (Boehringer Mannheim, Mannheim, Germany) on the day after the ultracentrifugal spin. Serum apolipoprotein B level was determined by an immunoturbidimetric method (KONE, Espoo, Finland). Plasma fibrinogen level was determined on the basis of clotting of diluted plasma with excess thrombin (Coagulometer KC4; Heinrich Amelung, Lemgo, Germany). Blood leukocytes were assessed by a cell counter (Coulter Counter Electronics, Luton, England). Assessment of medical history and medications, family history of diseases, smoking,35 alcohol consumption,36 physical activity, and VO2max37 has been described previously. Resting blood pressure was measured between 8 and 10 AM by 2 trained nurses, once during 1984 to 1985 and another time during 1986 to 1989, with a random-zero mercury sphygmomanometer (Hawksley, Lancing, England). The measurement protocol included, after supine rest of 5 minutes, 3 measurements in supine, 1 in standing, and 2 in sitting position with 5-minute intervals. The mean of all 6 measurements was used as systolic and diastolic blood pressure. Body mass index was computed as the ratio of weight (in kilograms) to the square of height (in meters). Waist circumference was calculated as an average of 1 measurement taken after inspiration and 1 taken after expiration at the midpoint between the bottom of the rib cage and the top of the iliac crest. Deaths were ascertained by computer linkage to the national death registry using the Finnish social security number. There were no losses to follow-up. All deaths that occurred from study entry (from March 20, 1984, to December 7, 1989) to December 31, 1996, were included. Deaths coded with the International Classification of Diseases, Ninth Revision,38 codes 390 through 459 were considered CVD deaths. Death codes as CHD (410-414) or stroke (430-436) were all validated according to the international criteria adopted by the World Health Organization MONICA (MONItoring of Trends and Determinants of CArdiovascular Disease) Project.39,40 The average follow-up time to death or the end of follow-up was 9.6 years (range, 0.8-12.8 years). In the present sample, there were 45 CVD deaths, 29 of which resulted from CHD, 9 from stroke, and 7 from other causes. The province of Kuopio participated in the multinational MONICA project39 in which detailed diagnostic information of all heart attacks between 1982 and 1992 was collected prospectively. The diagnostic classification was made by the FINMONICA coronary registry group.39 Data on fatal and nonfatal acute coronary events from January 1, 1993, to December 31, 1996, were obtained by computer linkage to the national computerized hospital discharge registry. Diagnostic information was collected from hospitals and classified by one internist (T.A.L.) using identical diagnostic criteria. The average follow-up time to the first coronary event was 9.3 years (range, 0.1-12.8 years). If a subject had multiple nonfatal events during the follow-up, the first event was considered the end point. Of the 110 coronary events, 57 consisted of a definite acute myocardial infarction, 36 were a possible acute myocardial infarction, and 17 were episodes of typical acute chest pain (angina pectoris) of more than 20 minutes indicating CHD. Data on fatal and nonfatal strokes from 1984 through 1992 were collected by the FINMONICA Stroke Registry,40 and those from 1993 through 1996 were obtained by computer linkage to the national computerized hospital discharge registry. Diagnostic information was collected from hospitals, and all events were classified by one neurologist (J.S.) using identical diagnostic criteria. The average follow-up time to the first stroke was 9.4 years (range, 0.3-12.8 years). There were 48 strokes during the follow-up, of which 35 were ischemic; 10, hemorrhagic; and 3, undefined strokes. For any CVD event, either a CVD death, acute coronary event, or stroke was considered. If a subject had multiple CVD events, only the first event was taken into account as an end point. The associations of insulin with other variables were analyzed with covariance analysis. The relationships of insulin with the risk of CVD events were analyzed with Cox proportional hazards models.41 Insulin was entered into the Cox models as 3 dummy variables for the upper 3 quartiles of the sample, the lowest quartile serving as the reference group. Risk factor–adjusted relative risks were estimated as the antilogarithms of coefficients from multivariate models. Their confidence intervals were estimated on the basis of the assumption of asymptotic normality of the estimates. All tests of significance were 2 sided. Since the results were essentially unchanged by using insulin thirds and fifths, data on only insulin quartiles are presented in this article. A variable was entered as a confounder into the Cox models if it was statistically significantly (P<.05) associated with any of the outcomes after adjustment for age and examination years. Hypothesized mediators were entered with the confounders into the Cox models as 4 sets: (1) serum HDL cholesterol and triglyceride levels, (2) systolic and diastolic blood pressure, (3) BMI and waist circumference, and (4) all mediators. Although diabetic men were excluded, we evaluated whether adjustment for blood glucose level affects the association between insulin and the outcomes. Because this adjustment had materially no effect on the relationship, glucose level was not entered into the Cox models. The baseline fasting serum insulin concentration (mean ± SD) was 77 ± 42 pmol/L and ranged from 7 to 487 pmol/L. The baseline characteristics of the study population in the insulin quartiles are shown in Table 1. Fasting serum insulin level was associated directly with serum triglyceride and apolipoprotein B levels, blood leukocyte count, plasma fibrinogen level, systolic and diastolic blood pressure, BMI, and waist circumference and inversely with serum HDL cholesterol level and the mean intensity of conditioning physical activity. The risk factors for CVD events in the study cohort after adjustment for age and examination years are shown in Table 2. Cigarette smoking, alcohol consumption, fasting serum insulin level, blood leukocyte count, serum triglyceride level, plasma fibrinogen level, systolic and diastolic blood pressure, BMI, and waist circumference were associated directly with the risk of CVD death. Cigarette smoking, blood leukocyte count, fasting serum insulin level, serum apolipoprotein B level, plasma fibrinogen level, serum triglyceride level, systolic and diastolic blood pressure, BMI, and waist circumference were related directly and serum HDL cholesterol level and VO2max inversely to the risk of acute coronary events. Cigarette smoking, fasting serum insulin level, and systolic blood pressure were associated directly with the risk of stroke. Smoking, alcohol consumption, fasting serum insulin level, serum apolipoprotein B level, blood leukocyte count, plasma fibrinogen level, systolic and diastolic blood pressure, BMI, and waist circumference were related directly and VO2max inversely to the risk of any CVD event. Fasting serum insulin level as a continuous variable had a statistically significant direct association with the risk of CVD death after adjustment for age, examination years, and other confounders (cigarette smoking, blood leukocyte count, serum apolipoprotein B level, plasma fibrinogen level, VO2max, and alcohol consumption) (Table 3). The association was largely explained by obesity, whereas dyslipidemia and hypertension had a weaker effect on the relationship (Table 3). The relative risks of CVD death in the insulin quartiles after adjustment for age, examination years, and other confounders and the putative effect of mediators (serum HDL cholesterol and triglyceride levels, systolic and diastolic blood pressure, BMI, and waist circumference) are shown in Table 4. The numbers of the men who died of CVD in the quartiles of insulin were 7 (15.6% of CVD deaths), 10 (22.2%), 10 (22.2%), and 18 (40.0%), respectively. Men with insulin levels of 90 pmol/L or more (highest quartile) had 2.5-fold (95% confidence interval [CI], 1.0 5.9) CVD mortality compared with men with insulin levels less than 52 pmol/L (lowest quartile) after adjustment for the confounders. The excess risk of CVD death (relative risk minus one) in the highest insulin quartile was reduced by 7% adjusting also for serum HDL cholesterol and triglyceride levels, by 33% adjusting also for systolic and diastolic blood pressure, and by 67% adjusting also for BMI and waist circumference. All of these metabolic risk factors jointly explained 73% of the excess risk associated with high fasting serum insulin level. Fasting serum insulin level as a continuous variable was also associated with the risk of an acute coronary event after adjustment for the confounders (Table 3). Again, obesity had the strongest effect on the relationship (Table 3). The number of men who had an acute coronary event in the insulin quartiles was 23 (20.9% of the events), 21 (19.1%), 34 (30.9%), and 32 (29.1%), respectively. After adjustment for the confounders, the relative risks of an acute coronary event in the 3 highest insulin quartiles were 0.9 (95% CI, 0.5-1.6), 1.4 (95% CI, 0.8-2.4), and 1.2 (95% CI, 0.7-2.1) (P=.28 for linear trend), respectively, compared with the men in the lowest quartile. Fasting serum insulin level as a continuous variable also had a statistically significant direct association with the risk of a fatal or nonfatal, either ischemic or hemorrhagic stroke after adjustment for the confounders (Table 3). The relationship was partly explained by obesity and hypertension (Table 3). The number of men who had a stroke in the insulin quartiles was 9 (18.8% of the strokes), 14 (29.2%), 8 (16.7%), and 17 (35.4%), respectively. The relative risks of stroke in the 3 highest insulin quartiles were 1.6 (95% CI, 0.7-3.7), 0.9 (95% CI, 0.4-2.5), and 2.0 (95% CI, 0.9-4.4) (P=.26 for linear trend), respectively, compared with the men in the lowest quartile, adjusting for the confounders. Fasting serum insulin level as a continuous variable had a statistically significant direct association with the risk of any first CVD event after adjustment for the confounders, and further adjustment for obesity had the strongest effect on the relationship (Table 3). The number of men who had any CVD event in the insulin quartiles was 33 (20.2% of the events), 38 (23.3%), 41 (25.2%), and 51 (31.3%), respectively. The relative risks of any CVD event in the 3 highest quartiles of insulin were 1.2 (95% CI, 0.7-1.9), 1.2 (95% CI, 0.8-2.0), and 1.4 (95% CI, 0.9-2.2) (P=.15 for linear trend), compared with the lowest quartile, adjusting for the confounders. In this prospective study in a population-based sample of middle-aged men who had no CVD, cancer, or diabetes at baseline, hyperinsulinemia had a modest association with increased risk of CVD death, controlling for the confounders. Men in the highest quartile of fasting serum insulin level had 2.5-fold CVD mortality compared with men in the lowest quartile. The relationship between hyperinsulinemia and CVD mortality was largely mediated through obesity, hypertension, and dyslipidemia. This study also provides some evidence for the association of hyperinsulinemia with increased risk of acute coronary events and stroke, but only when insulin level was used as a continuous variable. Furthermore, the relationship with coronary risk was almost entirely, and the association with stroke risk partly, explained by these metabolic disorders. Little is known about the relationship between hyperinsulinemia and the risk of stroke. There is some cross-sectional evidence that hyperinsulinemia is associated with increased prevalence of atherothrombotic or hemorrhagic stroke.43,44 In the 22-year follow-up of the Helsinki Policemen Study, hyperinsulinemia was associated with the risk of stroke, but not independently of other risk factors, and the relationship was largely explained by obesity.23 In another study, hyperinsulinemia did not predict stroke in nondiabetic elderly subjects without a previous stroke.24 In our study, there was a weak association between hyperinsulinemia as a continuous variable and the risk of stroke. This association appeared to be partly mediated through obesity and hypertension. However, we did not observe a significant difference or linear trend between the quartiles of fasting serum insulin level with respect to stroke risk. Cross-sectional and prospective studies have demonstrated an association between hyperinsulinemia and a number of cardiovascular risk factors. Hyperinsulinemia has been associated with hypertriglyceridemia and low HDL cholesterol levels in both cross-sectional47 and prospective population-based studies.26-28 Hyperinsulinemia26,28,48 and insulin resistance49 have also been linked to hypertension. Initially included in this cluster of cardiovascular risk factors, referred to as the insulin resistance syndrome or the metabolic syndrome, were resistance to insulin-stimulated glucose uptake, hyperinsulinemia, hypertriglyceridemia, low HDL cholesterol level, and hypertension.25 Also, central obesity, increased levels of plasminogen activator inhibitor 1, hyperuricemia, microalbuminuria, and other metabolic disturbances have been suggested as components of the syndrome.50 In our cohort, hyperinsulinemia was associated with hypertriglyceridemia, decreased serum HDL cholesterol level, hypertension, high BMI and waist circumference, and increased plasma fibrinogen level. This provides further evidence in favor of the insulin resistance syndrome. The time order of the associations of insulin resistance or hyperinsulinemia with other metabolic disorders is important when we try to establish whether hyperinsulinemia is independently associated with an increased risk of CVD or whether its risk-increasing effect is mediated through other factors. Prospective population-based studies have indicated that hyperinsulinemia predicts dyslipidemia.26-28 The role of hyperinsulinemia in the etiology of hypertension is less clear, but at least in some populations, including the present study cohort, hyperinsulinemia seems to precede hypertension.26,28 Hyperinsulinemia has consistently been associated with obesity in cross-sectional studies, but on the basis of prospective studies, the time order of the relationship is unclear and may be population specific.29,30 The factors that have most frequently been suggested to mediate the relationship between hyperinsulinemia and the risk of CVD are hypertriglyceridemia,16 high BMI,16 upper-body fat distribution,31 and hypertension.51 In our study, obesity was the strongest and hypertension the second strongest mediator of the excess CVD risk associated with hyperinsulinemia, while dyslipidemia had a modest effect on this association. As it appears likely that obesity precedes hyperinsulinemia, hyperinsulinemia might be a mediating etiologic phenomenon in the causal chain through which obesity increases the risk of CVD. Thus, a statistical inclusion of indexes of obesity in multivariate analyses may be considered an inappropriate overadjustment in the study of the association between hyperinsulinemia and CVD risk. This is the case also for other factors that have physiological links with hyperinsulinemia, such as hypertriglyceridemia, low HDL cholesterol level, and hypertension. Therefore, it is difficult to interpret findings of multivariate analyses that include all of these variables. Although epidemiological studies are essential in determining the existence of an independent relationship between an exposure and an outcome, they cannot adequately describe the pathophysiology of the insulin resistance syndrome or prove causality between hyperinsulinemia and the risk of CVD. The strength of this longitudinal study clearly is that we could evaluate the relationship of hyperinsulinemia with all major CVD events in the same cohort, which has not been the case in most previous studies. Also, the study population is from an area with one of the highest CHD and stroke risks in the world. Moreover, we were able to evaluate the impact of other risk factors thoroughly. One weakness of this study is that only middle-aged men, not women or the elderly, were included, which was also the case in most other studies. Also, there were limited numbers of CVD deaths and strokes, although the follow-up time was relatively long. Therefore, caution is needed in the interpretation and generalization of the results of our study. This prospective population-based study in healthy middle-aged men suggests that hyperinsulinemia has a modest association with increased cardiovascular mortality, and that the CVD risk–increasing effect is largely mediated through obesity, hypertension, and dyslipidemia. Hyperinsulinemia appears to have even weaker associations with the risk of acute coronary and cerebrovascular events. Thus, fasting insulin determination cannot be recommended for routine clinical care to estimate the risk of CHD or stroke. Future research will identify possible interactions between insulin and other CVD risk factors. Accepted for publication June 30, 1999. The Kuopio Ischaemic Heart Disease Risk Factor Study was supported by grants from the Academy of Finland (Dr Salonen; for projects 41471, 1041086, and 2041022), and the Ministry of Education of Finland. Dr H.-M. Lakka was supported by a grant from the Finnish Cultural Foundation of Northern Savo. We thank Rainer Rauramaa, MD, PhD, for the participation of the Kuopio Research Institute of Exercise Medicine in data collection; Juha Venäläinen, MD, Esko Taskinen, MD, Riitta Salonen, MD, PhD, and Hannu Litmanen, MD, for their participation in the supervision of exercise tests; and Kristiina Nyyssönen, PhD, and Kari Seppänen, MSc, for supervising the laboratory measurements. Reprints: Hanna-Maaria Lakka, MD, Research Institute of Public Health, University of Kuopio, PO Box 1627, FIN-70211 Kuopio, Finland (e-mail: Hanna-Maaria.Lakka@uku.fi).